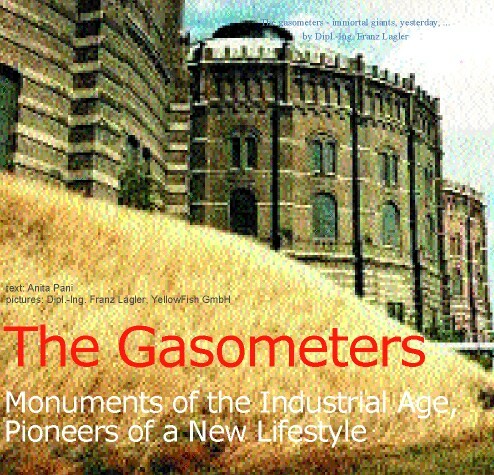 Vienna’s Gaswerk Simmering is a mixed-use community comprised of four upcycled gasometers built in the 1890s. 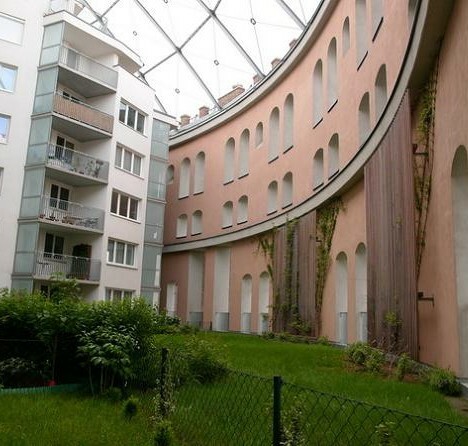 Originally built to store Town Gas for the city’s stoves, street lights and furnaces, these repurposed gasometers satisfy the needs of modern urban life while preserving the antique architecture of old Austro-Hungary. The ancient empire of the Habsburgs had a mere 20 years left in its long and lustrous lifetime but in 1896 the future looked bright – thanks, in part, to Town Gas made from coal. 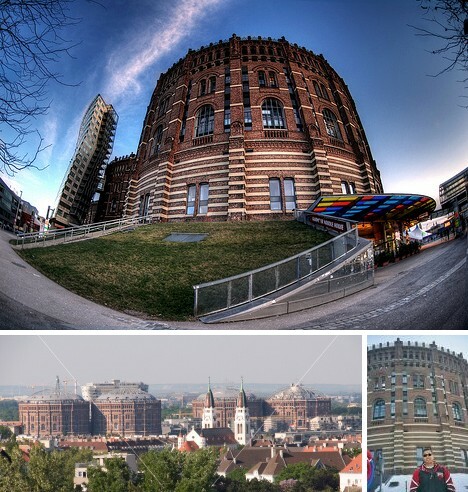 As the curtain began to close on the 19th century, four huge gasometers were rising in the Simmering district of Vienna, Austria-Hungary. Typically 50% hydrogen, 35% methane, 10% carbon monoxide and 5% ethylene, Town Gas enabled a great leap forward in urban and domestic life epitomized by the ubiquitous “gaslights” lining broad boulevards and illuminating each streetcorner. The gas which powered this societal revolution had to be stored somewhere, and that somewhere was the local gasometer. Now you might think storing large quantities of gas in the midst of residential neighborhoods isn’t really a great idea, and you’d be right – especially considering the state of 19th century technology. 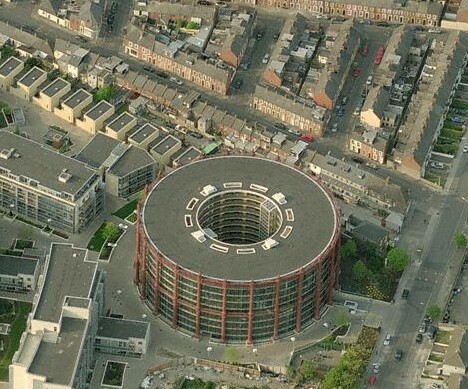 The image above shows an old gasometer in urban Dublin, Ireland, which has been converted into an apartment building. In fact, gasometers occasionally did explode for one reason or another, and it’s likely that the high hydrogen content of Town Gas caused the explosions to diffuse upwards and prevent large-scale fatalities. 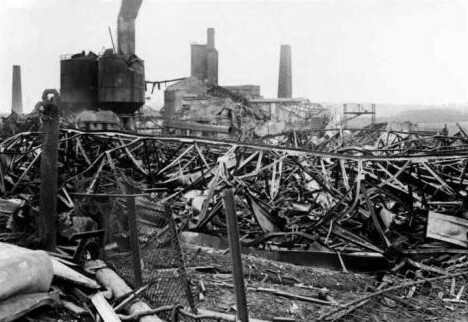 Damage could be massive, however, as the phot above illustrates: this is the aftermath of a gasometer explosion in Neunkirchen, Germany, that occurred on February 10th, 1933. 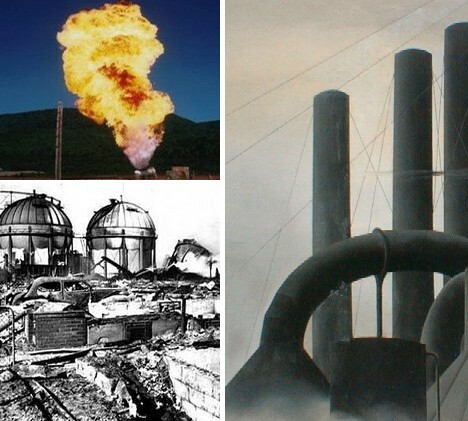 The most famous gasometer explosion in American history is probably The Pittsburg Gasometer Explosion, which took place on November 14th, 1927. 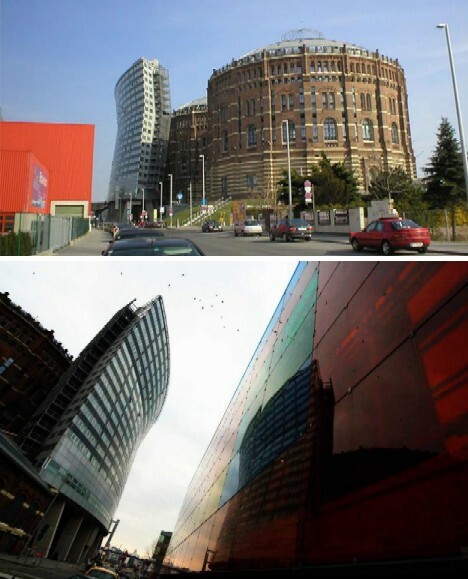 The gasometer in question – thought to be the world’s largest – was located in the heart of the city’s industrial district. The gasometer developed a leak; not an uncommon occurrence. The repairman sent to fix the leak apparently thought the quickest way to find the source was to use an open-flame blowlamp. Doh! He found the leak but the gasometer unfortunately exploded as a result, leaving a square mile of devastation, 28 people dead and several hundred injured. The four gasometers at Simmering, a suburb of Vienna, luckily did not explode as we have their charming fin-de-siecle architecture to admire and appreciate today. 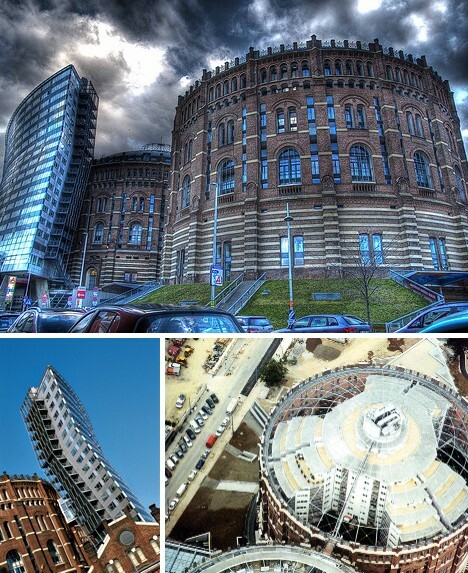 Not to mention their imposing physical specs: the quartet feature brick exteriors, are 230 feet (70 meters) tall and are 197 feet (60 meters) wide. When fitted out with the proper internal structures they each could hold a staggering 3,178,300 cubic feet (90,000 cubic meters) of gas. Good thing indeed they never sprung any leaks… or had Homer Simpson’s grand-dad come to fix them. Austria-Hungary may not have been known for precision engineering but the four gasometers at Simmering ran like Swiss watches for the better part of a century: from 1896 to 1984. After they were decommissioned and their internal workings dismantled, Vienna’s authorities bickered over what to do with them. 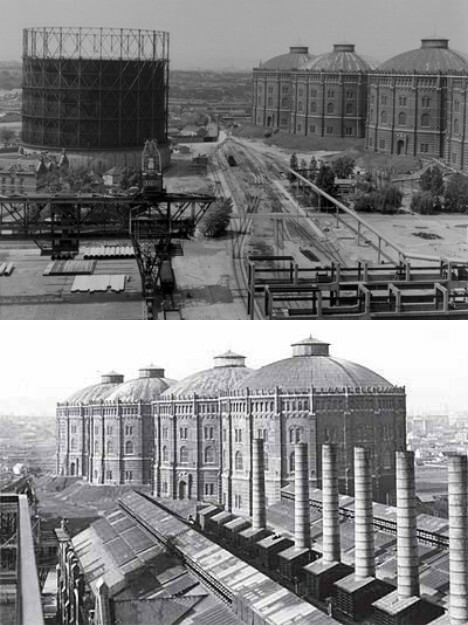 What they could NOT do was demolish them – in 1978 the gasometers had been officially listed as historic structures. 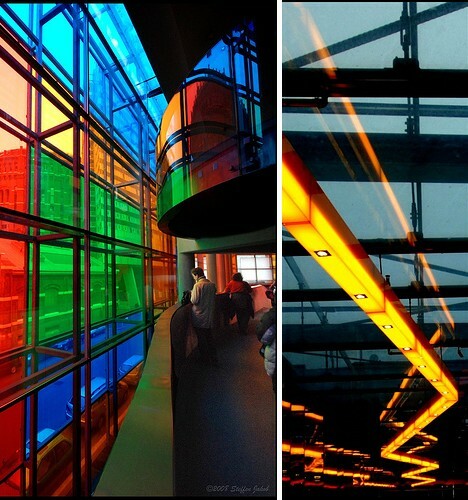 The buildings were not completely unused, however – in 1987 they were prominently featured as a location in the James Bond film The Living Daylights. 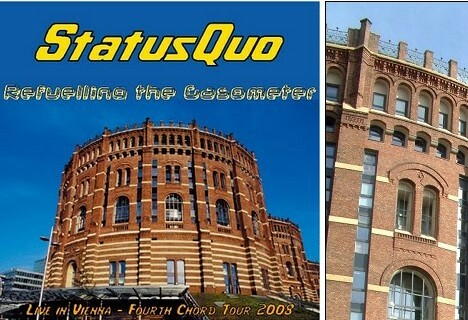 One surprising use for the structures was as concert halls, specifically for Rave events as the acoustics inside the gasometers were especially conducive. 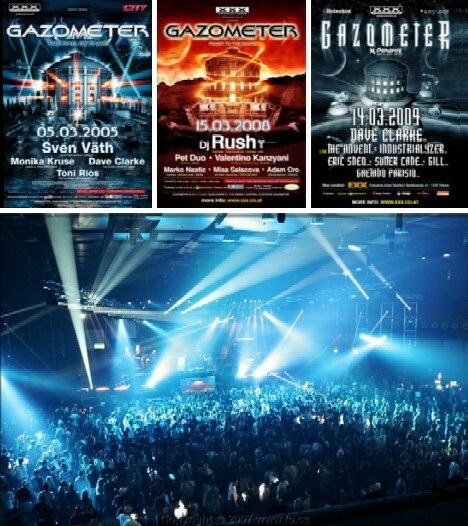 The first so-called Gazometer-Rave took place in 1992. 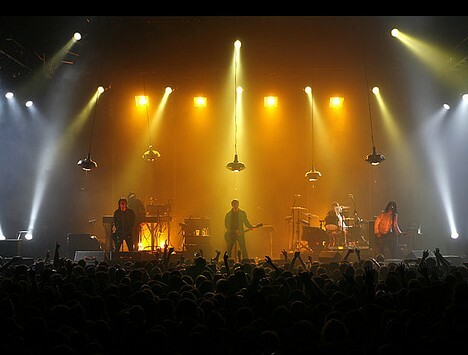 In fact, concerts are still held at the renovated gasometers, one example being the Nine Inch Nails show that took place on March 30th, 2007. 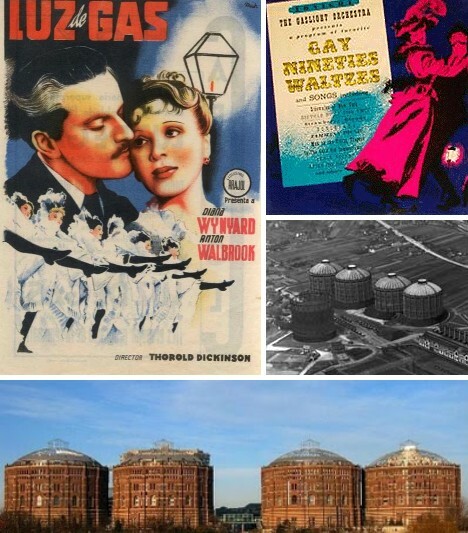 Apart from the odd film shoot and the occasional Rave, though, the gasometers remained unused for the most part. 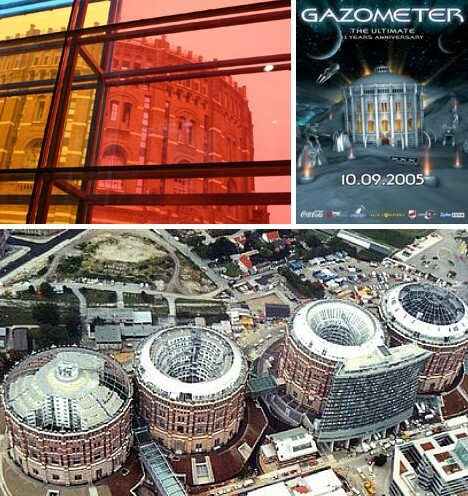 Then in 1995, a call for ideas intended to remodel & revitalize the gasometers was issued by Vienna city authorities and designs by four famous architects – Jean Nouvel, Coop Himmelblau, Manfred Wehdorn and Wilhelm Holzbauer – were accepted. While individual design details differed according to the creative aesthetic of the individual architects, certain particulars were common to all four. 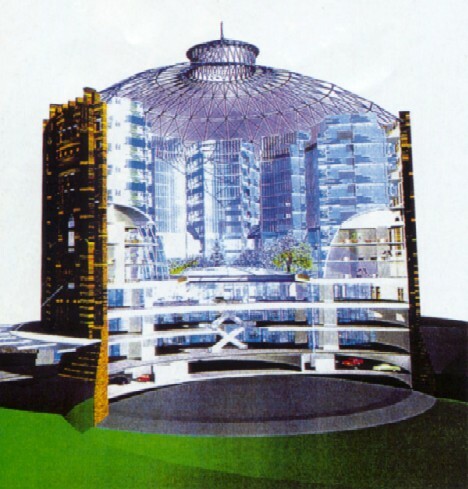 Each gasometer was divided vertically into zones based upon their use: apartments for living at the top, offices for working in the middle floors, and entertainment with shopping malls on the ground floors. 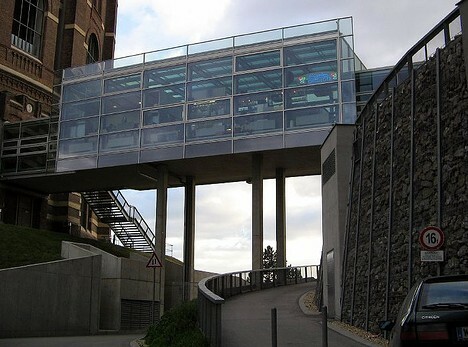 The gasometers were connected to one another via skybridges running through the lower shopping mall levels. 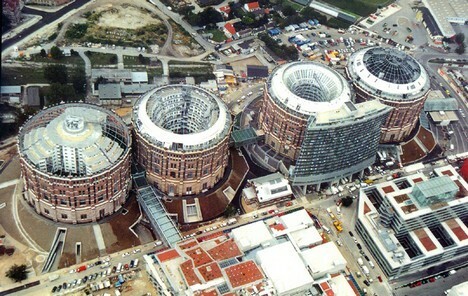 The total cost of the revitalization project was approximately 175 million Euros. 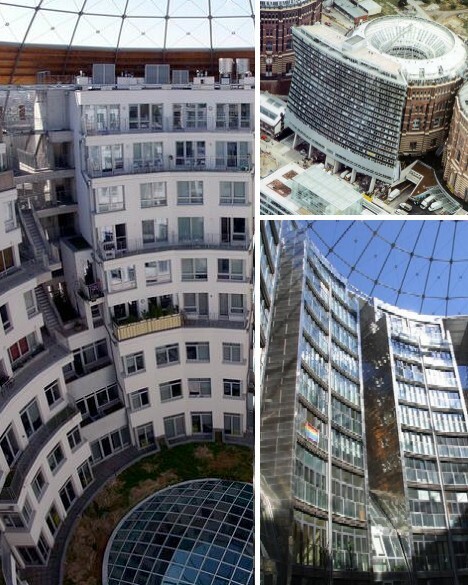 These days, the community some call Gasometer City encompasses 600 to 800 residential flats and includes, in addition to the office space and commercial areas, a U3 subway station connecting Gasometer City with central Vienna. The roughly 1,500 residents consider themselves to be living in a village, though as of 2007 about 1/3 of the commercial and office space was still unused. 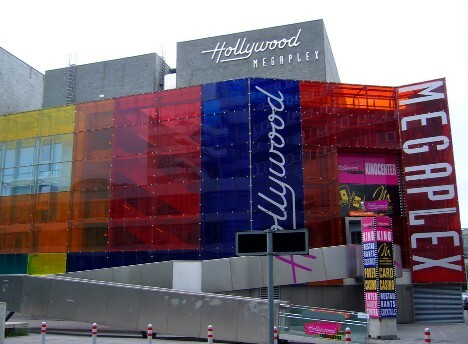 One extra-special perk of living in Gasometer City is convenient access to the Hollywood Metroplex, a multi-cinema movie theater adjacent to the gasometers and connected to them via a dedicated skybridge. 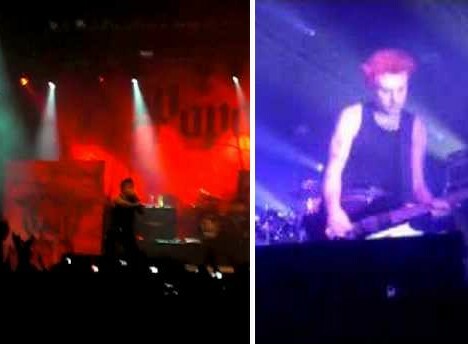 Not sure what’s playing there now but odds are, it’s either The Living Daylights… or Gaslight.